Saw your posting. Sadly Foster-Brigham didn’t take the snap. 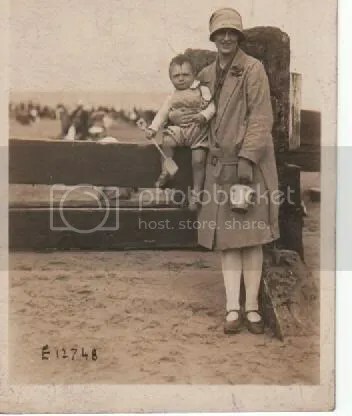 As you guessed he employed several roving photographers (usually for the summer season) who scoured the beach and prom at Bridlington, taking photos – often of people strolling around. You got given a ticket and could collect the print after 4 o’clock the same day. He opened this business in 1919, but also had a posh studio elsewhere in the town for the high class work! I’ve been researching the trade for an exhibition and book, you can find a bit more at my website. 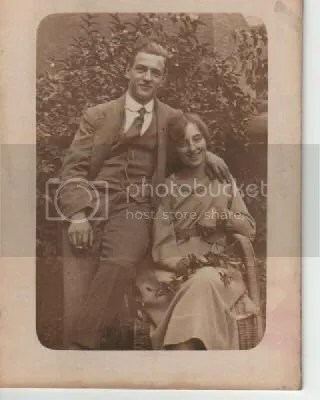 Well, your grandmother might have been the most beautiful girl in Leeds, but your granddad was no slouch. Wonderful photos, whether the photographer was universally ranked or not. I love old photos, and what a fabulous story to go with it. Thanks for sharing.